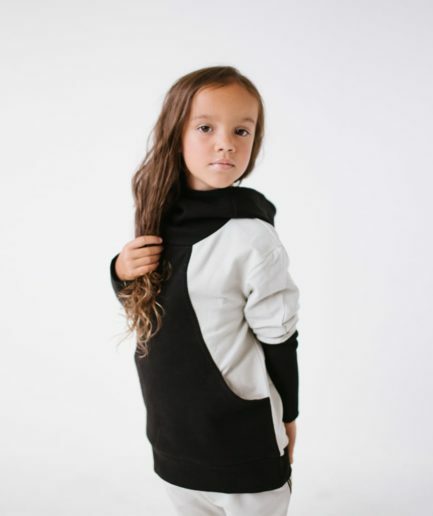 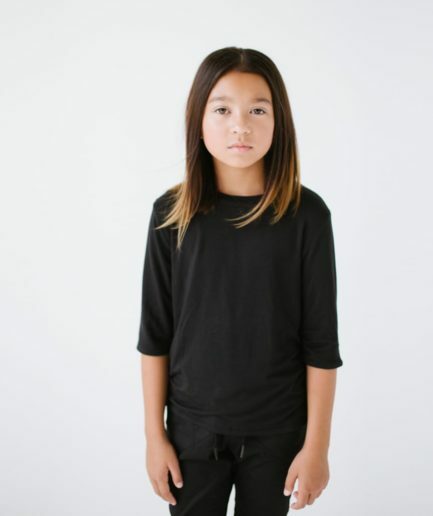 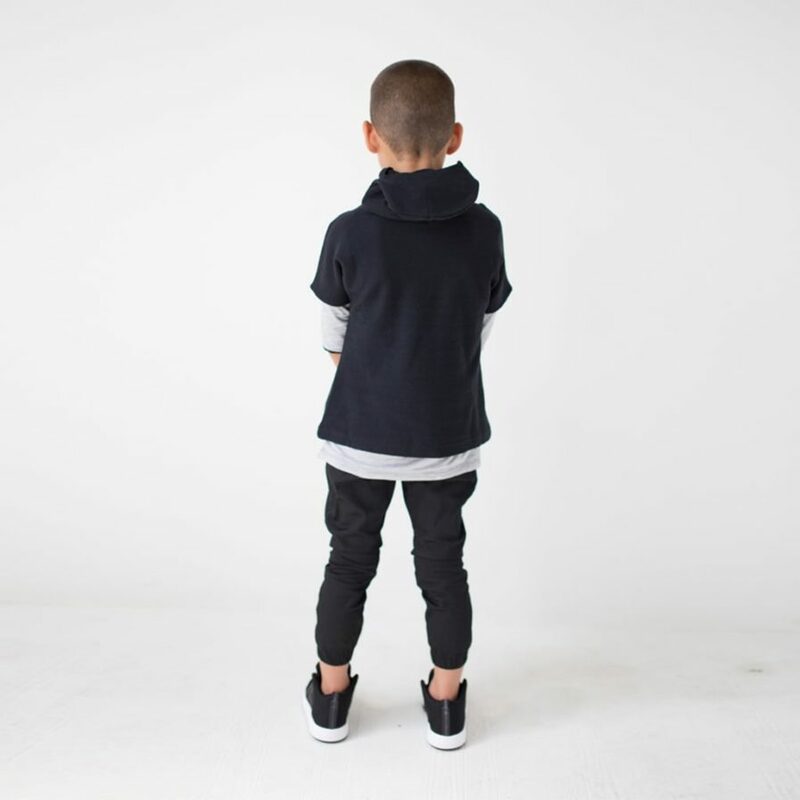 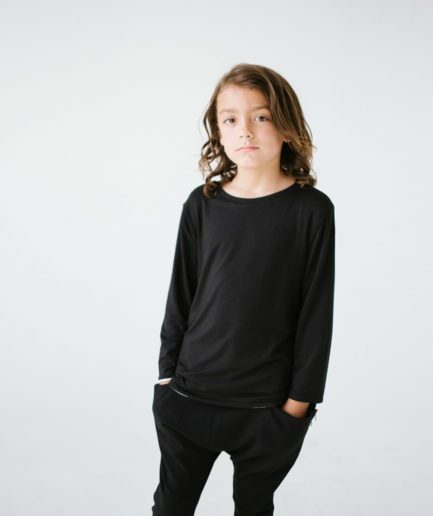 Our short sleeved Ninja Hoodie is definitely a childhood favorite. 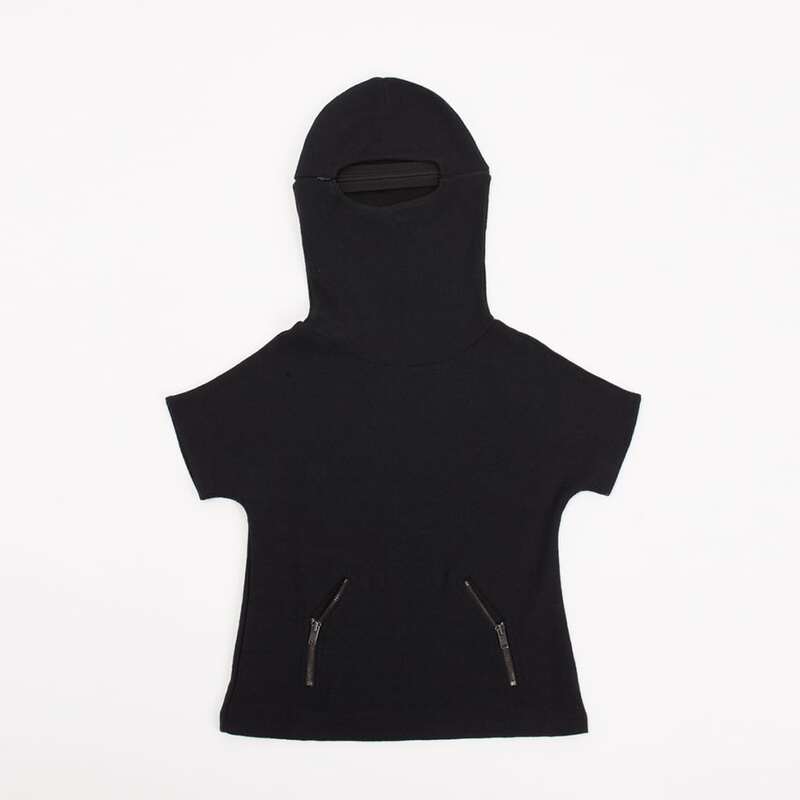 It features a fitted black hoodie that forms a ninja mask around the eyes when fully zipped. 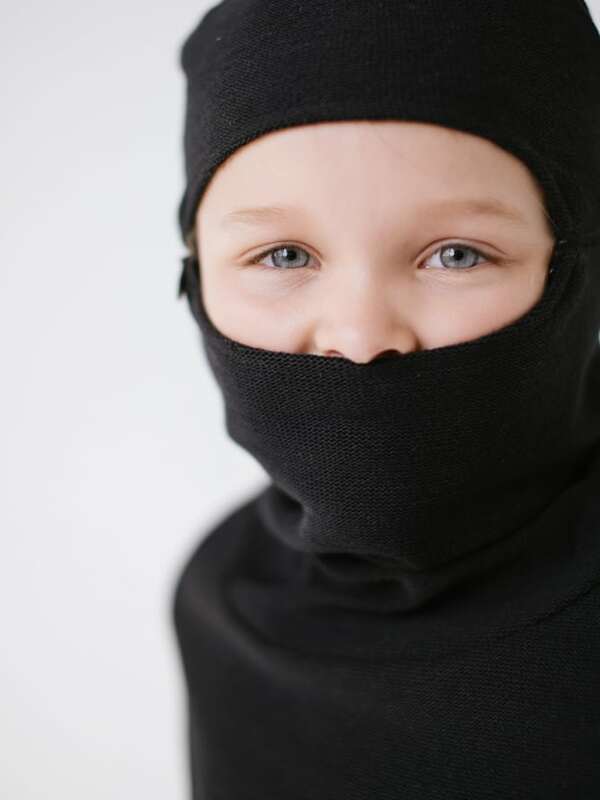 When not on Ninja duty, the hood can be unzipped two inches and worn comfortably as a large cowl neck hoodie. The short sleeves allow this piece to be worn with or without layering. 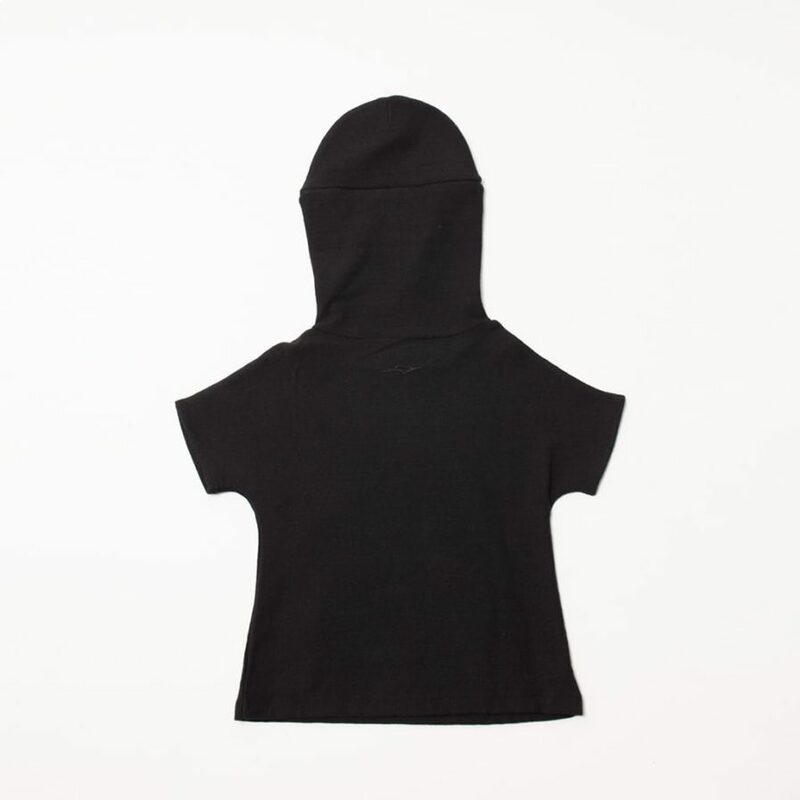 The hood is cotton lined for comfort and structure. 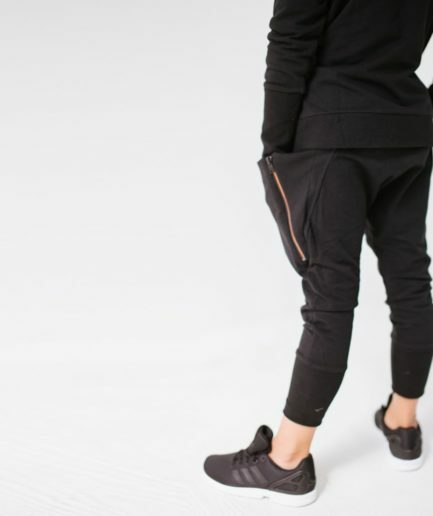 The kangaroo front pocket is accented by zippers with a gunmetal finish. 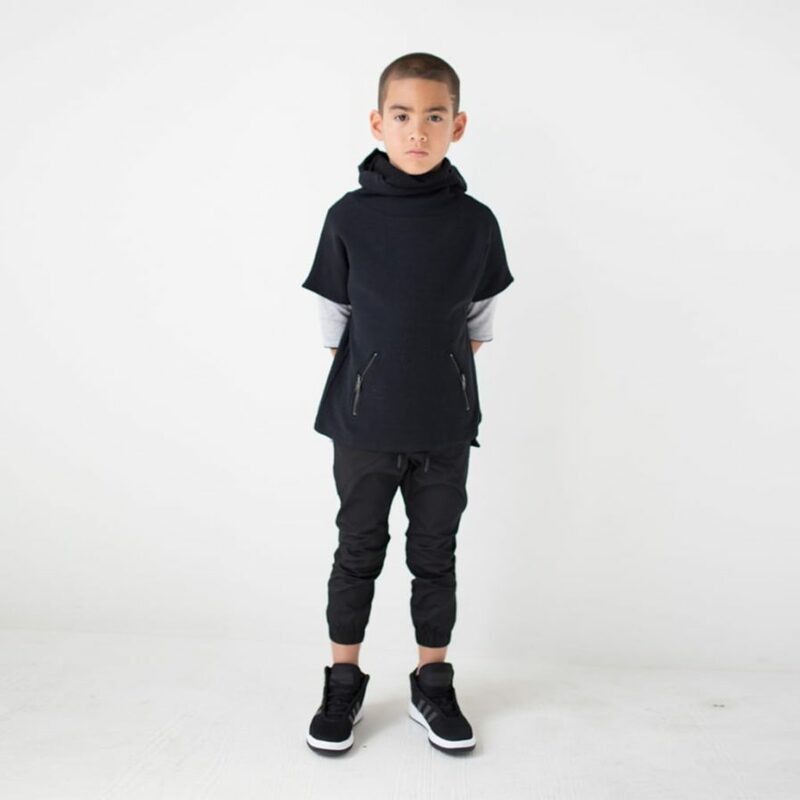 Designer Notes: This style was created to be functional for both fun and warmth! 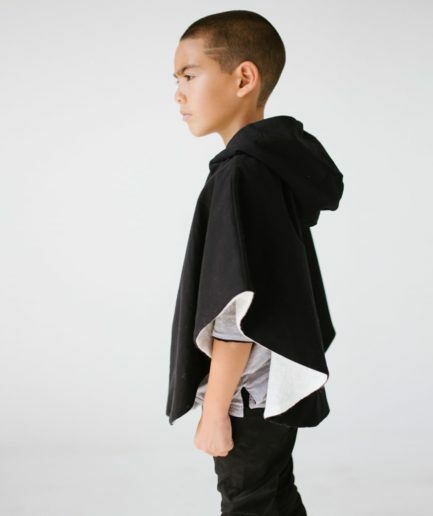 Suitable for super hero’s of both genders this style can be worn with the hood on (exposing the eyes and nose) or unzipped and down gathered around the neck for warmth. 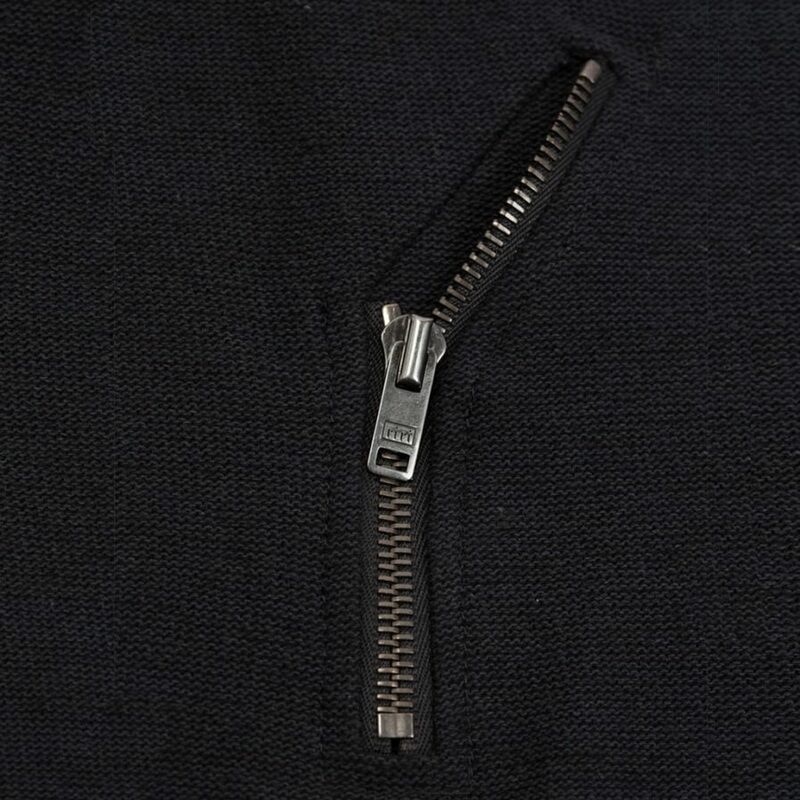 Half zippers expand a kangaroo style pocket in the front.